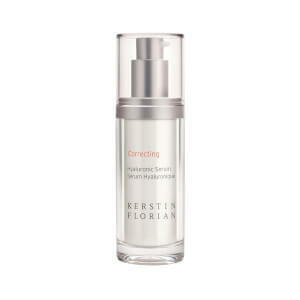 This Vitamin C based serum accelerates the elimination of photo-damage, evens out skin tone, moisturizes the skin and prevents signs of premature aging. A powerful antioxidant and healing ingredient, Vitamin C also promotes collagen production to increase elasticity and smoothness of the skin. Helps protect skin against free radical damage. Improves skin tone and elasticity. Formula is paraben and oil free. Apply daily to cleansed skin, avoiding the eye area. Follow with recommended moisturizer. Water (Aqua), Pentylene Glycol, Methylsilanol Hydroxyproline Aspartate, Dimethicone, Dimethicone/Divinyldimethicone/ Silsesquioxane Crosspolymer, Cyclopentasiloxane, Hydroxyethyl Acrylate/Sodium Acryloyldimethyl Taurate Copolymer, Carbomer, Xanthan Gum, Dimethicone, Crosspolymer-3, Squalane, Chlorphenesin, Peg-40 Stearate, 1,2-Hexanediol , Caprylyl Glycol, Citrus Grandis (Grapefruit) Peel Extract, Hydrolyzed Algin, Potassium Sorbate, Chlorella Vulgaris Extract, Sea Water , Sodium Benzoate, Dimethiconol, Citrus Aurantium Amara (Bitter Orange)Peel Oil, Sodium Hydroxide, Tetrahexyldecyl Ascorbate, Disodium Edta , Polysorbate 60, Methylisothiazolinone, Tropolone. I bought this on a whim and was pleasantly surprised even after the first use. The elasticity of my skin seemed much improved and also made my skin seem more vibrant than it's been i months. I did have a few blotches of rednessafter the first use (very, very minor) but after that no irritation. I was hoping to find the exact % of ingredients, but can't seem to find this on the packaging whatsoever. Either way, I really like this serum and would definitely purchase again.